When To Replace Your Gutters • Gutters & Guards, Inc.Gutters & Guards, Inc.
As much as we’d like them to, rain gutters don’t last forever—but not everyone knows the signs of when they need to be replaced. The signs range from obvious cracks and water leakage to signifiers like the gutters sagging away from your home. 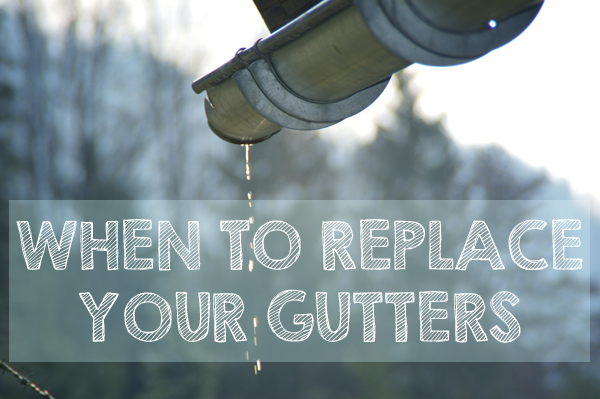 We’ve explained some of the signs that you may need to have your gutters replaced. 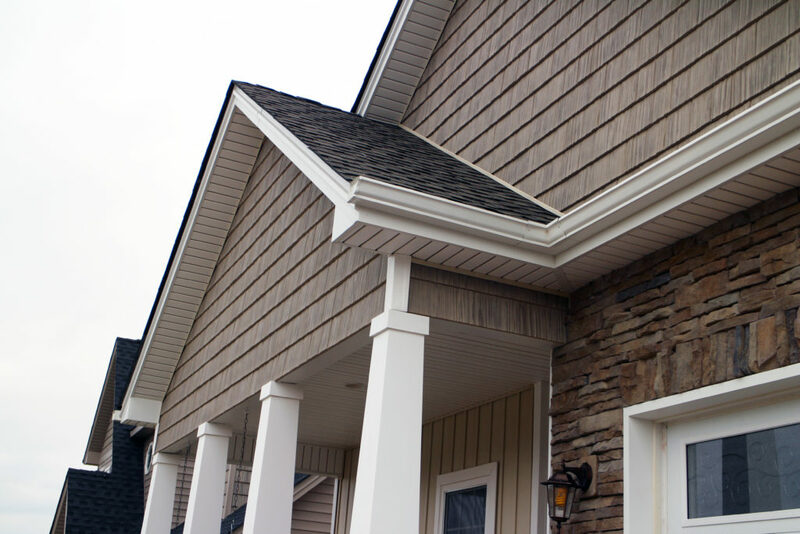 If your gutters or downspouts have holes or cracks in them, it’s time to replace your gutters. These cracks and holes make it hard or even impossible for the water to properly flow through the gutter system, leading to leaking gutters that may cause damage to your home if left unfixed. Large dents can create the same issue. Gutters can start to sag and pull away from your home if they’re full of water. The weight of the water causes the gutters pull away, which means the gutters are not properly draining and need to be replaced. This may be due to debris piling up in the gutters are other damage harming the flow of water. Sagging gutters also hinder the appearance of your home and can lead to further damage if they’re not replaced. If your gutters are rusted, it’s time to replace them. Rust can lead to further damage such as cracks and holes. In addition, rust stains on areas of your home around your gutters may be a sign that the gutters are overflowing and leaking water on the exterior of your home. This is another sign that your gutters need to be replaced to prevent further water damage. Leaking, overflowing, or standing water in your gutter system is an obvious sign that your gutters need to be cleaned or replaced. If the problem isn’t fixed by a simple gutter cleaning, the cause may be worse damage that requires replacing your gutters. Puddles of water around your home or water leaking into your foundation is another sign that your gutters aren’t performing properly. In addition to leaking from your gutters, water damage to your home around your gutters is another sign your gutters may need to be replaced. This may take the form of the paint on your home peeling or even water seeping into your basement. Whatever form the damage takes, it indicates that your gutters are not properly directing water away from your home and may need to be replaced. If you notice any of these issues with your gutters or around your home, contact a professional to examine your gutters and determine if they need to be replaced. Call us at (434) 239-8440 or head to our contact page to set up a free appointment today!